Disney's Animal Kingdom Villas is the eighth Disney Vacation Club timeshare resort, and the fifth located at the Walt Disney World Resort. 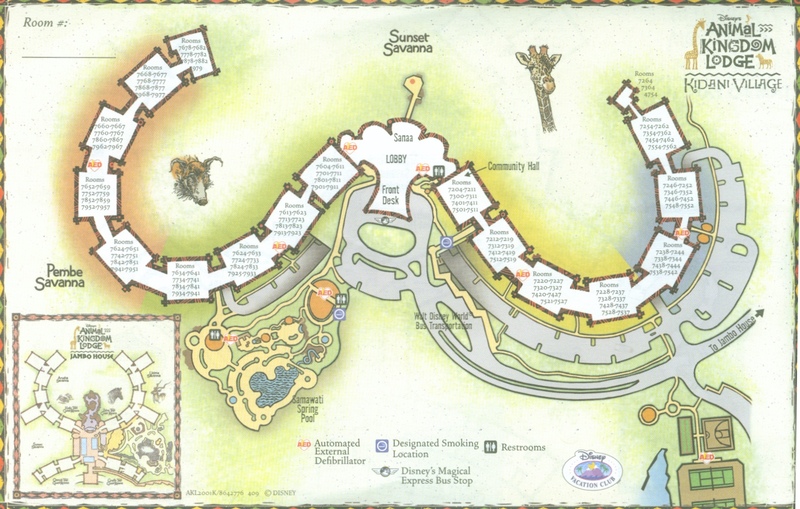 The first phase opened in summer 2007 and included 134 remodeled units on the fifth and sixth floors of the existing Disney's Animal Kingdom Lodge, which opened in 2001. 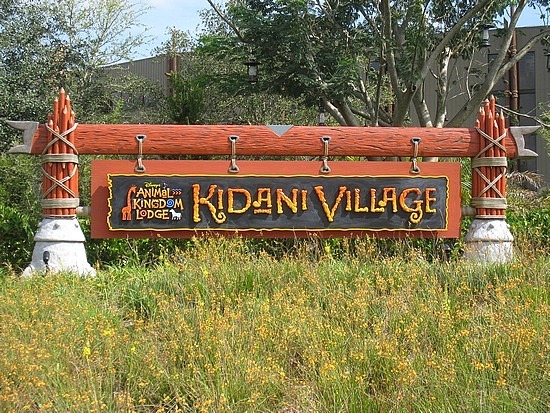 Later construction added 324 units in a new building, Kidani Village, which opened in phases and was expected to be completed in 2009. The development was announced in October 2006. 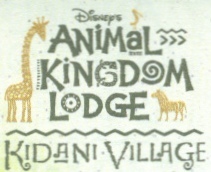 Disney's Animal Kingdom Villas – Kidani Village is an African lodge-style Resort boasting accommodations that include kitchenettes/kitchens and multi-bedroom units. Featuring over 30 species of wildlife that roam free amidst a 21-acre wildlife preserve that includes lush, tropical savannas, Disney's Animal Kingdom Villas – Kidani Village offers you the unique opportunity to observe exotic animals in their natural habitat from special viewing areas throughout the Resort – and from the balconies of select Guest rooms. The lobby and the Villas of Disney's Animal Kingdom Villas – Kidani Village extend out and take the curlicue shape of a water buffalo's horns. This string of buildings can also be viewed as a piece of native African jewelry, a "necklace" with Villas forming the beads, garden-like walkways creating the "knots" in between, and the main lobby building as the ornament or jewel at its center. Inside, the Resort features authentic African-inspired architecture and decorations, from hand-carved columns to intricate patterns that adorn the golden-tone furnishings. Tall floor lamps allude to tall, swaying trees, and ornate hanging fixtures appear to overflow with colorful flora and fauna. 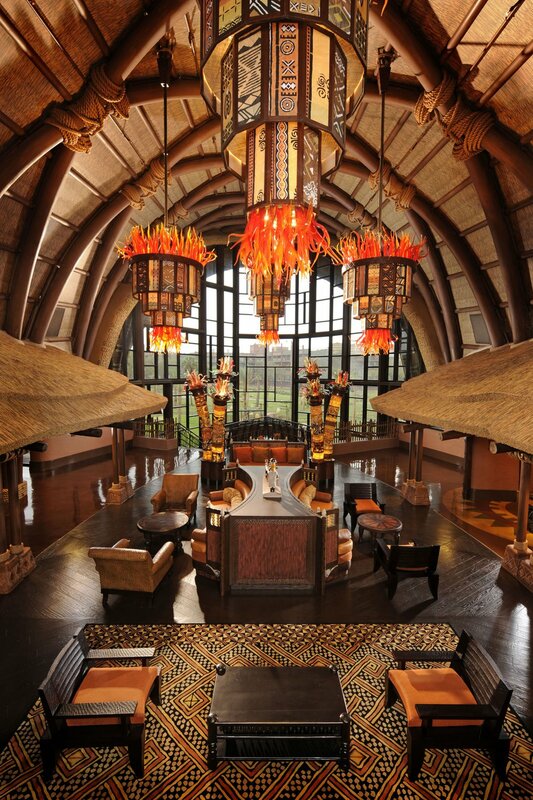 Thatched ceilings, a woven ceiling, real African artifacts and an arching window in the main lobby revealing the adjacent savanna surround you in the inimitable spirit of Africa. Just outside the main building, sprawling wetlands border a picturesque landscape where thousands of indigenous African shrubs and grasses paint a picture reminiscent of the unspoiled grasslands of the Serengeti. Dining and recreational options abound at the Villas. Savor authentic African cuisine at 3 award-winning restaurants, Sanaa, and next door at Disney's Animal Kingdom Lodge - Jambo House, Jiko – The Cooking Place and Boma - Flavors of Africa. Disney's Animal Kingdom Villas is served by Disney Transport bus. Bus service from Disney's Animal Kingdom Villas serves the Magic Kingdom, Disney's Animal Kingdom, EPCOT, Disney's Hollywood Studios and Downtown Disney. Nearly surrounding Kidani Village, the Sunset Savanna and the new Pembe Savanna offer glimpses of exotic animals in a traditional setting. Open 24 hours a day, each savanna features a unique look and feel, and is home to different varieties of African animals. Among the animals you may see are Ankole Cattle, Bontebok, Eland, Zebra, Greater Kudu, Impala, Okapi, Red River Hog, Nyala, Reticulated Giraffe, Roan Antelope, Sable Antelope, Thompson's Gazelle, Waterbuck, White-Bearded Wildebeest, Abyssinian Ground Hornbill, Blue Crane, East African Crowned Crane, Greater Flamingo, Marabou Stork, Ostrich, Pink-Backed Pelican, Spur Winged Geese, Guinea Fowl and Ruppel's Griffon Vulture! Samawati Springs, a 4,700-square-foot, zero-depth entry pool with a 128-foot long slide. Barbeque Pavilion, Basketball (Half Court) and Shuffleboard Court, Bike Rentals, Community Hall, Jogging Trail, Movies Under the Stars, Playgrounds, Safari So Good Arcade, Survival of the Fittest Fitness Center.